in fruit, vegetables and other foods. Acetonitrile Extraction/Partitioning and Clean-up by Dispersive SPE- QuEChERS. 2. Method AOAC 2007.01. Pesticide Residues in Food by Acetonitrile Extraction and partitioning with Magnesium sulfate. 3. Method Mini-multiresidue QuEChERS. Method for the Analysis of Pesticide Residues in Low-Fat Products. 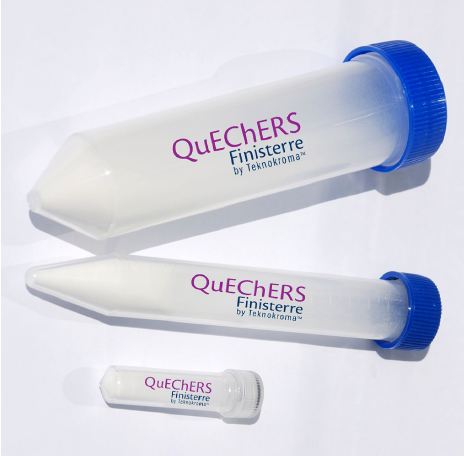 www.quechers.com.